What does Brexit mean for the whole planning system? It’s been impossible to get away from the issue of the European Union referendum and the vote to leave. 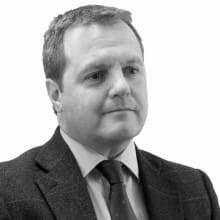 However, it’s important to consider what it might mean for the whole planning environment and how it might impact on our landowner and developer clients. Jon Rimmer takes a candid look at the issue. to the Free Market, it is inevitable the government will want to steady nerves and shore up business and investment confidence. The strong call from business since the result has been that the Government needs to be as business-friendly as possible, and that includes its attitude towards the planning system. We need to loosen the handbrake when it comes to development so business can invest, jobs can be created and communities supported. We’ve already heard reassuring words from the plethora of new ministers as they address their respective audiences. What the business community is calling for is major investment projects such as HS2 and a decision on a new South East runway to be brought forward, sending a positive message to investors. Against this backdrop, the Government also needs to continue in its efforts to reform the planning system, with a huge amount of changes in the pipeline needing to be finalised. The legislative list is lengthy, including measures on neighbourhood planning, reforming compulsory purchase powers and reducing pre-commencement conditions, as well as infrastructure. There are also proposed modifications to the National Planning Policy Framework (NPPF) to support building on brownfield and small sites, bring forward new settlements and support the construction of starter homes, as well as to quicken the speed local plans are brought to fruition. Back in February, the Hobbs Parker team gave its views on rural planning, including evidence on how to improve planning for homes and agricultural buildings in the countryside to support landowners. of the Department of Business, Energy & Industrial Strategy, we must hope the planning system – sitting within Communities & Local Government – gets the resources it needs to drive these policy changes through.